Why should you attend this seminar about the Hadoop ecosystem ? What is Hadoop and how does it fit in the big data (r)evolution ? 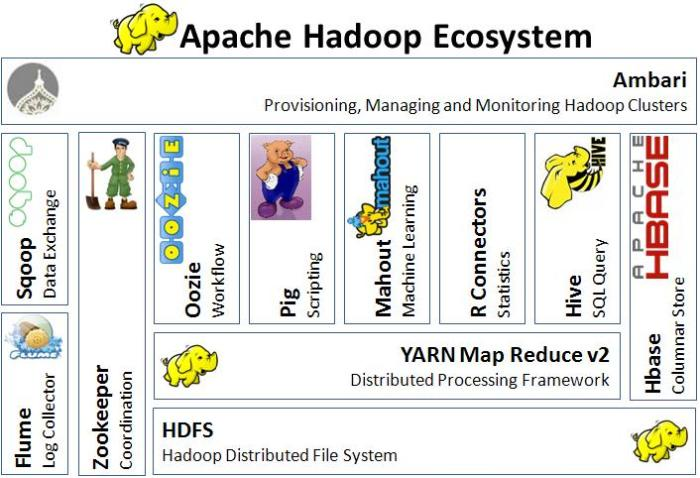 Which components are part of the Hadoop ecosystem ? How do you import enterprise data into Hadoop? What are the possibilities to store data on Hadoop? How do you model data on Hadoop? How do you maintain different versions of data? How do you process data stored on Hadoop? How do you integrate Hadoop in your enterprise? How do you keep an Hadoop cluster up and running? Which use cases can be implemented using Hadoop? The rise of the Internet, social media and mobile technologies, and in the very near future the Internet of Things (IoT) ensures that our data footprint is growing fast. Companies like Google and Facebook were quickly confronted with massive data sets, which led to a new way of thinking about data. The last 10 years, Hadoop provides an open source solution based on the same technology used within Google. It allows you to store and analyze massive amounts of data to create new insights. This seminar is aimed at everyone who wants to use big data technology, and therefore needs to understand the components of the Hadoop ecosystem and the concepts behind them. This seminar is presented in English. 14.00h - What is Hadoop ?